Post-industrial areas – particularly in Wales and Northern Ireland – benefit significantly from EU structural funds, and their governments will continue to advocate on their behalf. But these funds aside, who will speak in the Brexit negotiations for the interests of those people who have just voted to leave? When Britain’s fiscal position deteriorates, will working class voters pay the heaviest price, as economists warned before the referendum? As we become more reliant on the “kindness of strangers” to pay our way in the world, who will argue for investment to flow to Brexit Britain’s heartlands? What does each party say about Brexit? Are they proposing EEA membership, including free movement? Or are they promoting an association agreement in which both single market access and free movement are curtailed, for British and EU citizens? Leaving aside the mendacity of abandoning promises made in a referendum campaign almost as soon as it was concluded, the fantasy scenario sketched out in Boris Johnson’s opening salvo on Brexit terms is unlikely to withstand contact with reality. Assertions including: The UK can have free movement rights for its habitants across the European Union, but a points system would apply to those coming to the UK? The UK can enjoy access to the single market but not comply with ECJ rulings? None of this will realistically come to pass. Let us then say that Britain cannot obtain good terms for Brexit. In the current febrile state of EU politics, there will be a phalanx of states that are unwilling to let the UK have the best of both worlds. There are national government veto powers to consider too, particularly if the deal is “mixed” (that is, engaging both national competences and those of the EU). Article 50 is silent on whether a country that has notified the EU of its intention to leave, and thereby initiated divorce proceedings, can reverse its position and withdraw its notification. Does that mean that Brexit is a one-way street once Article 50 has been triggered? Perhaps. But another reading is that the text becomes one of those creative non-spaces that Europe has used repeatedly in its passage to union. Constitutional experts suggest that it may be possible to “withdraw a withdrawal” – though the ECJ might be asked to provide a ruling. Amidst all these questions, what are the possible scenarios for Britain next? The European Economic Area (EEA) comprises all members of the EU together with Norway, Iceland and Liechtenstein. EEA members are part of the European Single Market, meaning there is free movement of goods, services, people and capital within the EEA, but EEA membership does not require deeper political integration. Are there downsides to the EEA? Yes. Non-EU members of the EEA must accept and implement EU legislation governing the Single Market without having any part in deciding the legislation. Therefore, leaving the EU to join the EEA would reduce the UK’s control over economic policy. Also, EEA members such as Norway do not belong to the EU’s customs union. Consequently, Norwegian exports must satisfy rules of origin requirements in order to enter the EU duty free and the EU can use anti-dumping measures to restrict imports from Norway, as occurred in 2006 when the EU imposed a 16% tariff on imports of Norwegian salmon. Finally, EEA members effectively pay a fee to be part of the Single Market. In 2011 Norway’s contribution to the EU budget was £106 per capita, only 17% lower than the UK’s net contribution of £128 per capita. Becoming part of the EEA would not generate substantial fiscal savings for the UK. In return for its participation in EU programmes, Switzerland must adopt EU policies and legislation, meaning Switzerland also trades integration for sovereignty. Switzerland and the EU have not reached a comprehensive agreement covering trade in services. Consequently, Swiss financial institutions often serve the EU market through subsidiaries based in London. Like the EEA countries, Switzerland makes a financial contribution to the EU, which in recent years has averaged around £53 per capita, 60% lower than the UK’s net contribution per capita. Overall, it is likely that the Swiss model would result in less economic integration between Britain and the EU than EEA membership leading to higher economic costs of Brexit. The chance exists that the UK and the EU will negotiate another treaty which will stipulate other accents in their relation. The UK will then become a trading partner like India or Brazil one is. And like CETA or TTIP let us see this is not a clear path either: difficulties are in those negotiations and the duration to succeed is long. The UK has another disadvantage in regard to the US in TTIP – that it is the smaller partner so it will have to suffer under the weight of the European market power. Even if trade talks will succeed, the UK will not have full market openings in the EU if it follows this path. A fourth model is the Turkish model with a limited customs union with free travel for persons. Turkey and some small countries in Europe have to give openings to their market without getting it from others – this to growing frustration to Turkey that wishes to get visa liberalization for the free travel of Turks into the EU. It is to be seen if British citizens will have to use their passports again for travelling to the EU. This could be a difficult match for British politicians because this would encumber free trade with Europe. The biggest chance exists that the UK will abide to the Norwegian or Swiss model which is not so good for them because the other models are less attractive from a political –economic point of view. The EU is still the biggest export market for the UK so those former models are the best in that view but are the less viable for British politics because the UK will lose its sayings and influence in let us say trade negotiations and it has still no control of its borders. 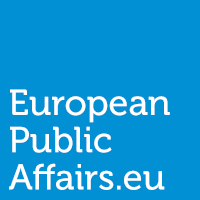 PreviousA new EU Security Strategy: towards a militarised Europe?